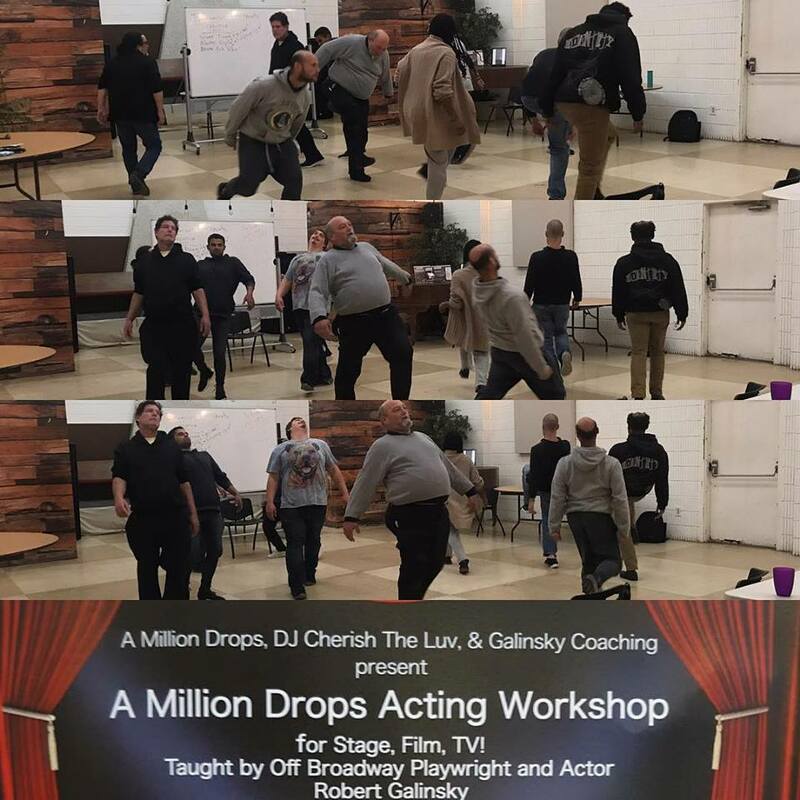 In our past weeks acting class, under the guidance of professional actor and teacher Robert Galinksy, our class experimenting with various walking techniques to develop and create unique characters! 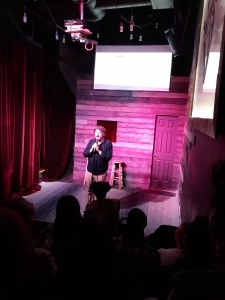 Turtle – A (mostly) Storytelling Show! 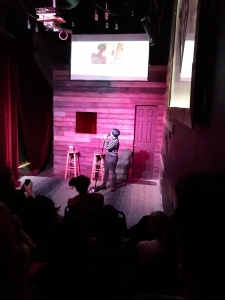 We had a great time at Turtle – A (mostly) Storytelling Show!! 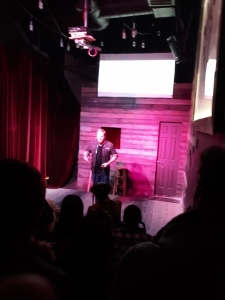 Several of our clients (who are talented themselves) got to see a storytelling show by great performers who had us laughing, surprised and deep in thought! 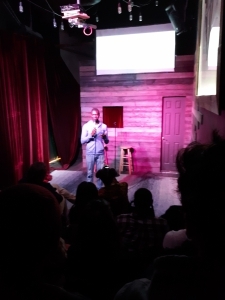 Thank you Beowulf Jones and all performers for a wonderful night out! How time flies! 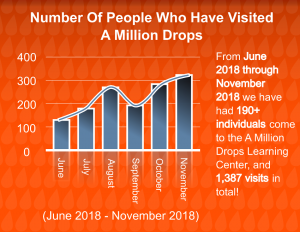 It’s been six months already since we opened the doors to our A Million Drops Learning Center, and during that time, it quickly learned to walk and is now slowly beginning to outgrow its baby shoes. 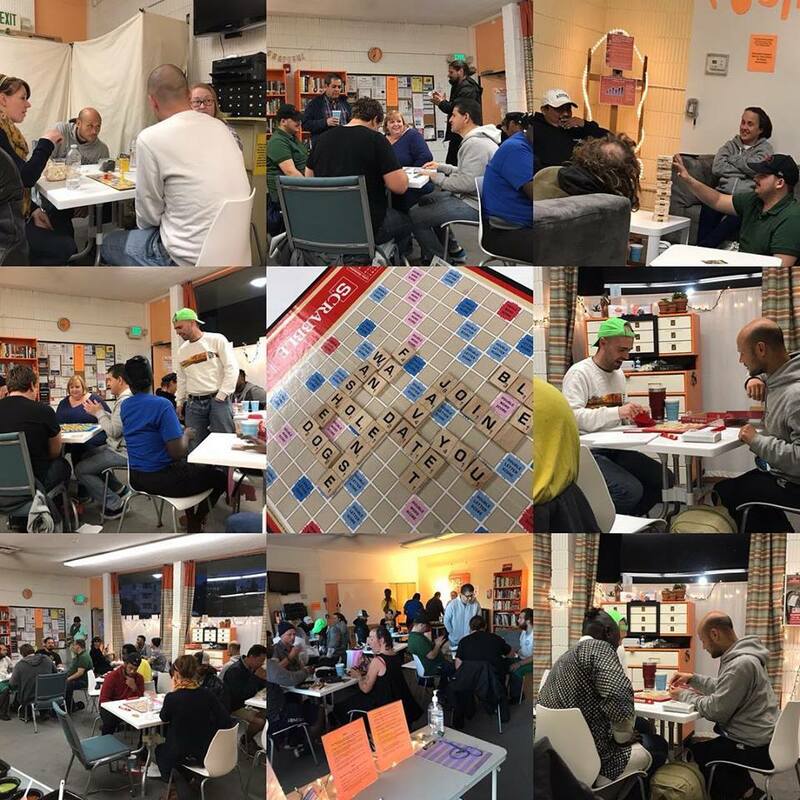 Each day, we are at full capacity and all in all, we serve up to 25 people daily, Mondays through Fridays from 2 – 6 pm. 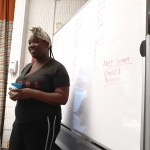 Our weekly programs include classes in Edible Gardening, Acting and Poetry, as well as a Self-Empowerment Workshop. 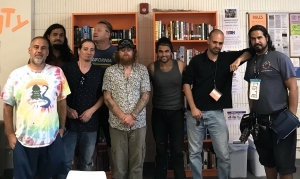 We also have a Podcast and a Film Club, both run by clients of the Learning Center. 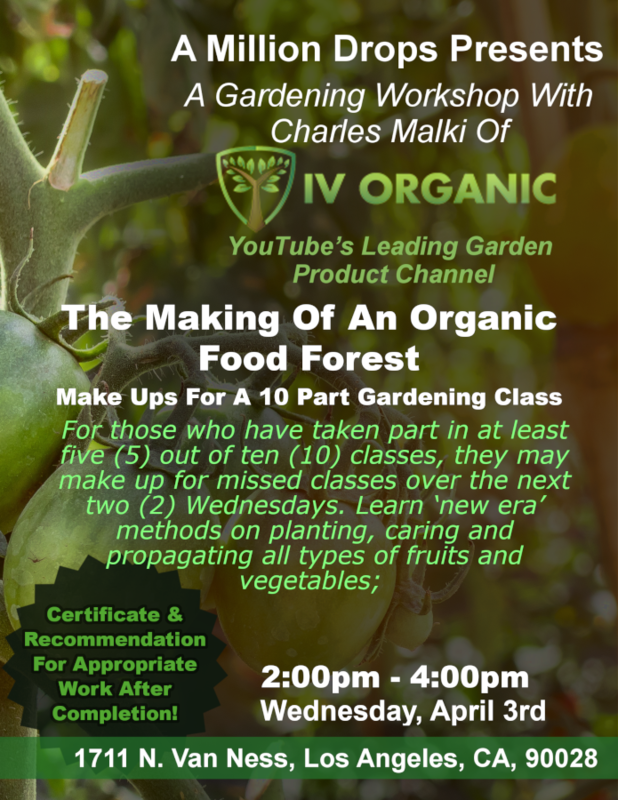 The amazing teachers who volunteer time, sharing skills and knowledge are Charles Malki of IV Organics (Edible Gardening); Greg Johnson of the L.O.V.E. 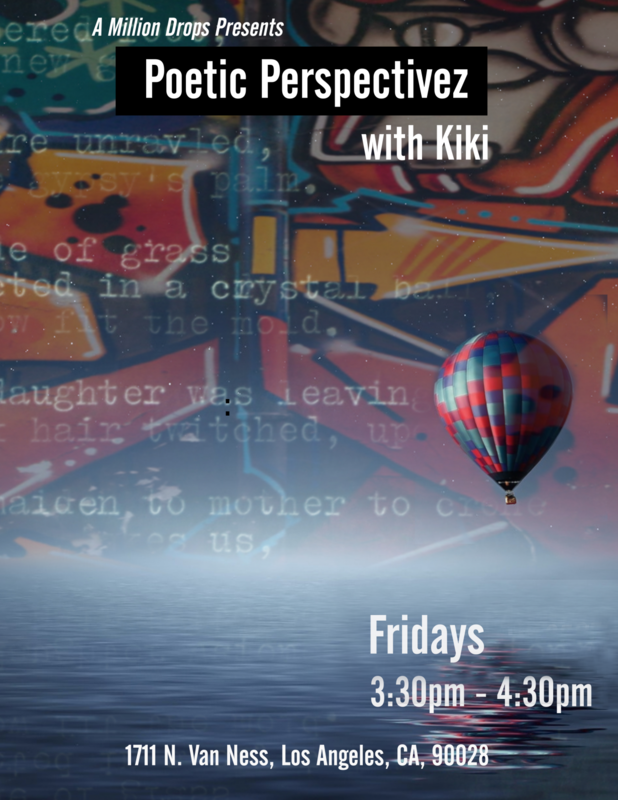 Foundation (Self-Empowerment); Robert ‘The Bench’ Galinsky (Acting); Marquesha ‘Kiki’ Babers (Poetry & Spoken Word). 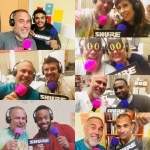 Our guest Antonio Rivera runs the Film Club and Scott Clapson, also a guest, is in charge of the Podcast. 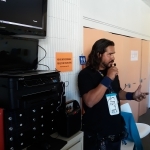 Anton, introducing a movie for his weekly Film Club. 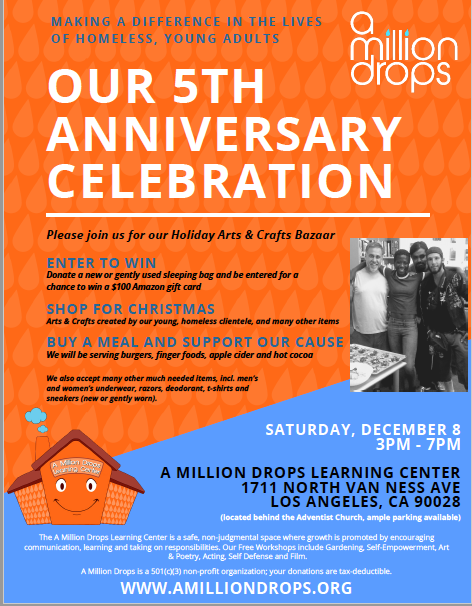 On December 8, we celebrated A Million Drops’ 5th Anniversary (as well as six months of the Learning Center). 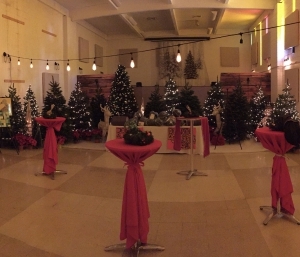 With the help of decorations generously donated by film prop house Green Set, the auditorium adjacent to our Learning Center (that is included in our lease for events and classes) was turned into a magical forest. 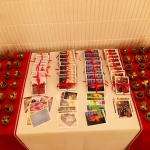 DJ Aaron Paar provided the perfect musical background, and everyone who came to celebrate with us had a great time. 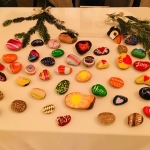 Many visitors who stopped by to drop off a sleeping bag stayed to browse our bazaar and went home with gift items, from art, greeting cards and painted river rocks to cute little succulents pots home baked cookies – all created by guests of the Learning Center. 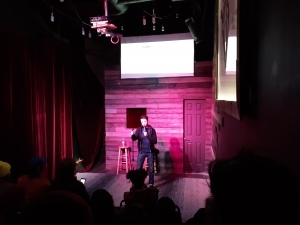 We have big plans for 2019! 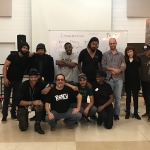 Our main goals are to start the A Million Drops Choir and to produce a play with the cast and crew consisting of members of our homeless community. Our clients are excited and motivated, and looking forward to the great things that are going to happen in the new year! We wish you all a very happy, healthy, peaceful, exciting , positive and successful year 2019, and we hope that we will be able to count on your continuous support. 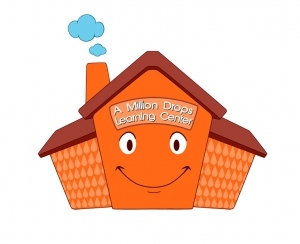 It’s been five years since A Million Drops was granted non-profit status and six months since we opened the Learning Center. This calls for a celebration! 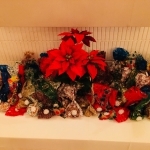 On Saturday, December 8 we are going to have an Open House & Christmas Bazaar. 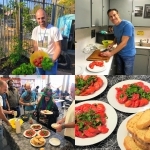 Visit us to get a tour of the Learning Center and Edible Garden, and learn about Real Good Stuff with Scottie, a weekly podcast hosted by us. 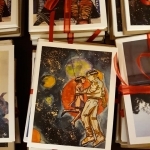 Explore our bazaar where you can shop for Christmas gifts handmade by our young clients – cookies, poetry, art, and much more – and help us raise money, so we can keep our doors open and continue to offer our programs and services. Or just enjoy a snack, mingle with old friends and make new ones.